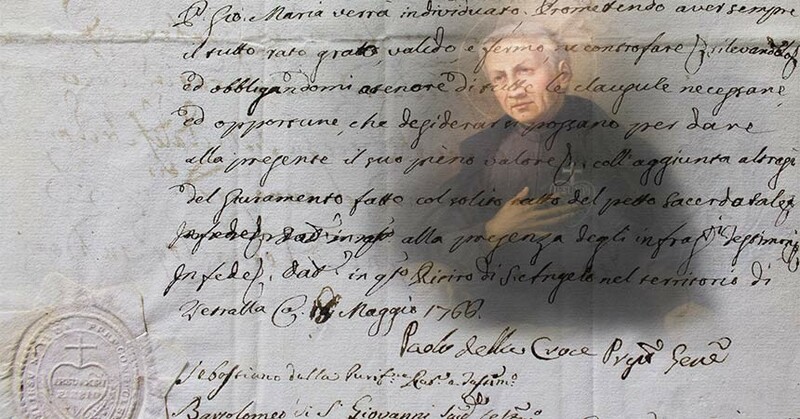 St. Paul of the Cross wrote various accounts (“Notizie”) to make the Congregation known in its reality and to present an objective picture of it, especially to those who could influence young people in their voca­tional orientation. After the first approval of the Rule in 1741, he sent various accounts in the form of a letter to old acquaintances, for exam­ple, to Canon Paul Polycarp Cerruti of Alexandria (1), and to a bishop (2). 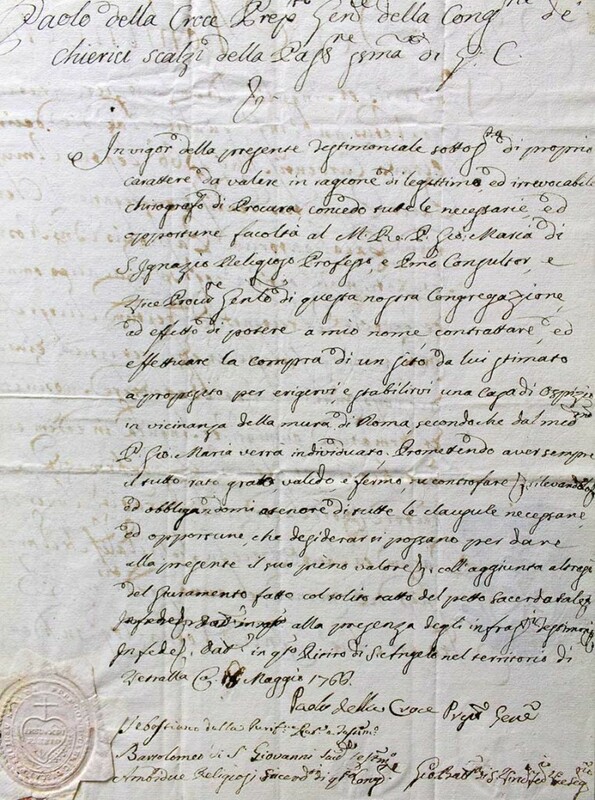 Other letters indicate the qualities looked for in postulants and were written both to such friends and, like that more detailed one of August 20, 1752 (3), to his Religious. These letters can also be con­sidered “accounts” of the Congregation because they give a picture of what it wants to be and to do, inside and outside. The longest and best written accounts are those of 1747 and 1768. These summarize the substance of the 1746 Rule and present the life and pur­pose of the Congregation. 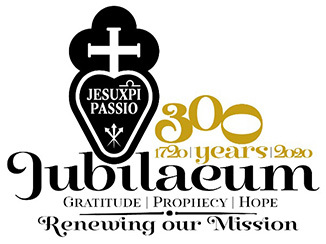 They emphasize the evangelical foundation which demands and sustains the unity of the contemplative‑apostolic life of the Passionist ‑ “mindful” of the Passion of Jesus which he relives in himself through prayer and a cherished penance, but also totally committed to help his brother and sisters who are “unmindful”; “forgetful” of the Passion of Jesus and consequently live either a tepid or evil existence. God is the Unique Origin of the Congregation. The sole reason why the Congregation was born in the Church was to promote the life‑giving memory of the Passion of Jesus in the people of God. The life of the Passionist Religious is similar to the life of the Apostles. The Religious, united by deep fraternal charity, live in joy and peace. The Passionist Religious help the Church by a specific mission. The Religious also prepare themselves by education for their apostolic commitment.